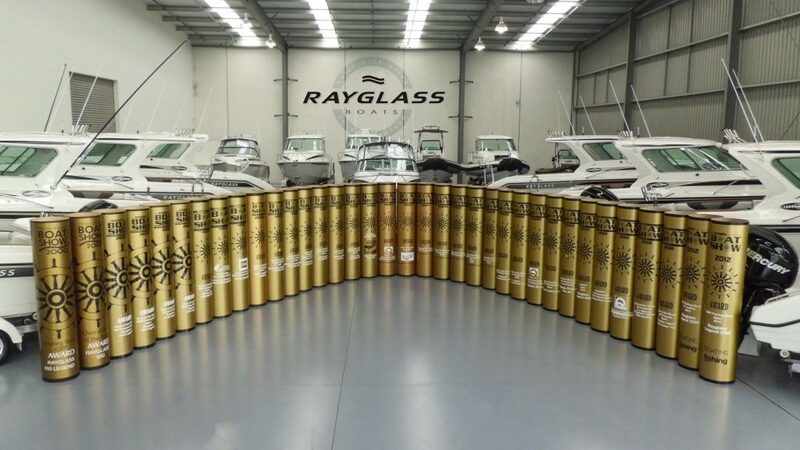 Rayglass Boats, New Zealand’s most successful manufacturer of luxury GRP pleasure boats, will run this year’s popular THE RAYGLASS EXPERIENCE Open Weekend and Factory Tour at their Mt Wellington, Auckland headquarters on Friday, September 7 until Sunday, September 9. The Open Weekend will enable people to view all of Rayglass’s multi-award winning Legend range of trailer boats as well as the popular new 3500 Sedan cruiser and a selection of internationally-renowned Protector RIBs. The Factory Tour will enable people to see Rayglass boats in various stages of construction, meet the crew responsible for building the boats to such a high standard and check out Rayglass’s impressive workshop and refurbishment centre. There will also be displays of the latest Mercury outboards and Mercruiser inboards, the latest Garmin and Simrad electronics and the new model Amarok and Touareg SUVs. Complimentary coffees and a Coastguard-run sausage sizzle will be available and there will be daily prize draws for new Protector inflatable dinghies. The friendly Rayglass team looks forward to welcoming everyone to this year’s THE RAYGLASS EXPERIENCE Open Weekend and Factory Tour at Rayglass Boats in Paisley Drive, Mt Wellington, Auckland between 10am and 5pm on Friday September 7 and between 10am and 3pm on Saturday and Sunday, September 8 and 9. Based on the water’s edge in Auckland, New Zealand, Rayglass employs over 60 people in three state of the art manufacturing facilities and is one of New Zealand’s most successful marine businesses, both at home and internationally. In addition to the multi-award winning Legend series of GRP powerboats, the company also manufactures the extremely popular new 3500 Sedan Cruiser and the internationally renowned Protector range of patrol, work and pleasure RIBs.